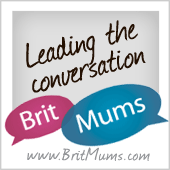 I need to get my blogging mojo back. I’ve missed it! It’s been weeks and weeks since I’ve written, and I have so many blog posts in my head to share. I’ve spent the last 6 weeks focused on a busy work contract – but the go-live date is finally here and I can get back to some semblance of life balance! So I’m going to ease back in gently with a quick post to share something lovely that we did today. 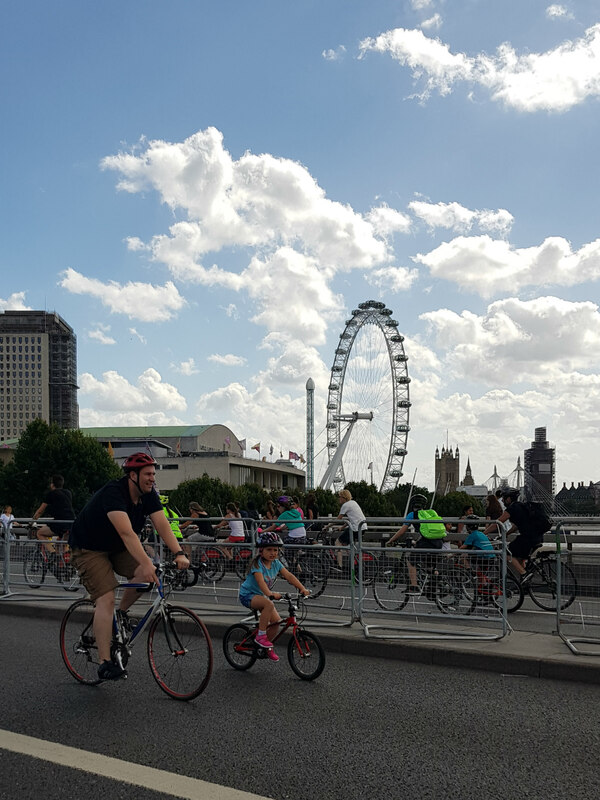 We took part in the RideLondon FreeCycle event – an eight mile circuit of some of London’s most beautiful sites on completely closed roads. I’ve always wanted to have a go, but this is the first year where our little family are all confident cyclists. 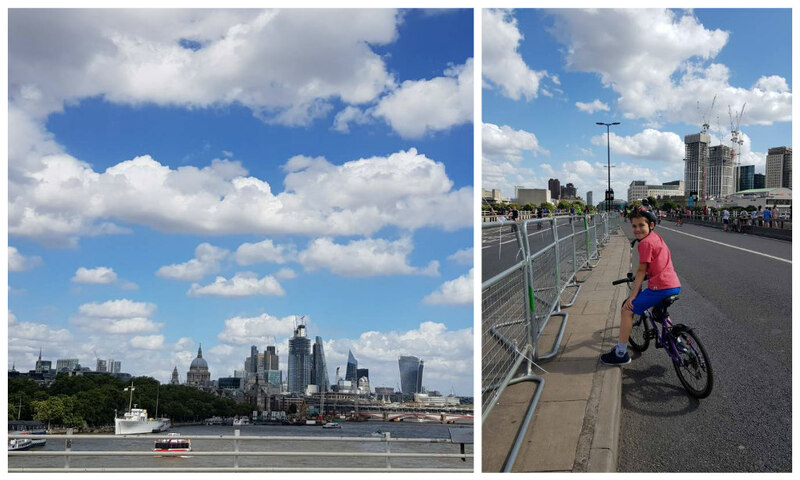 As someone who now cycle commutes across London, the idea of roads without buses, taxis and cars was super appealing – and it was as wonderful as I imagined. 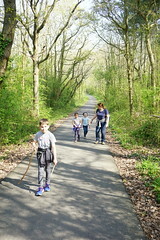 It was such a pleasure cycling along familiar routes in the sunshine with my family at a gentle pace, surrounded by other families happily doing the same. There were literally tens of thousands of people riding the course during the day! 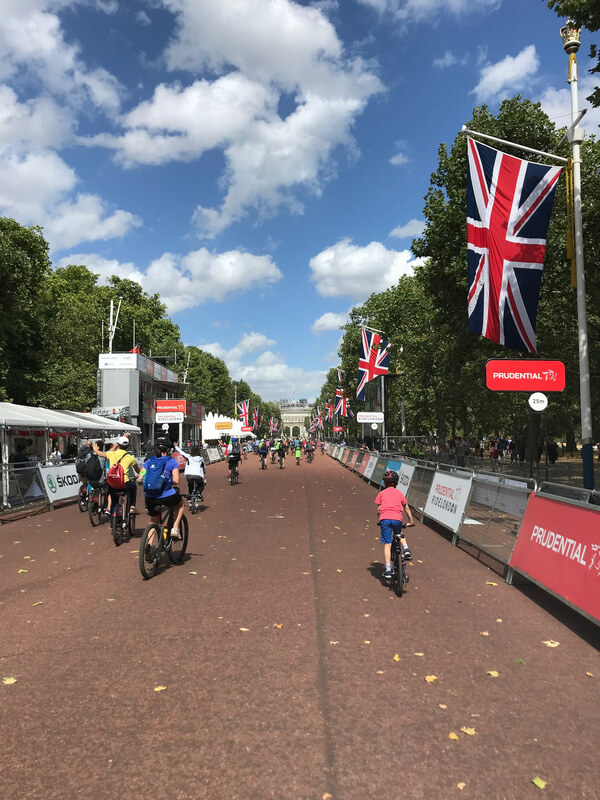 We cycled along the river, around Green Park and Buckingham Palace, down the Mall to Trafalgar Square, along the Strand and Aldwych and around Lincoln’s Inn Fields – you can see the full route here. 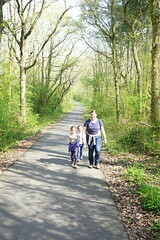 And a dreadful picture – but my highlight of the day. 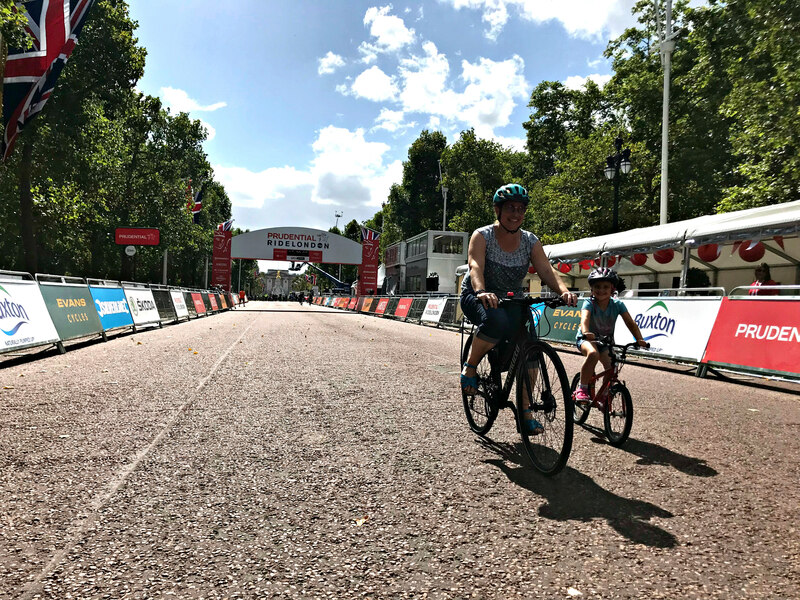 Sophie and I had the Mall to ourselves (because of a pedestrian crossing pause behind us) and we got to speed along together under the finish line arch, just like Mark Cavendish and the other pro cyclists will in tomorrow’s RideLondon races! So much fun! We even managed to grab a selfie in front of Buckingham Palace together. 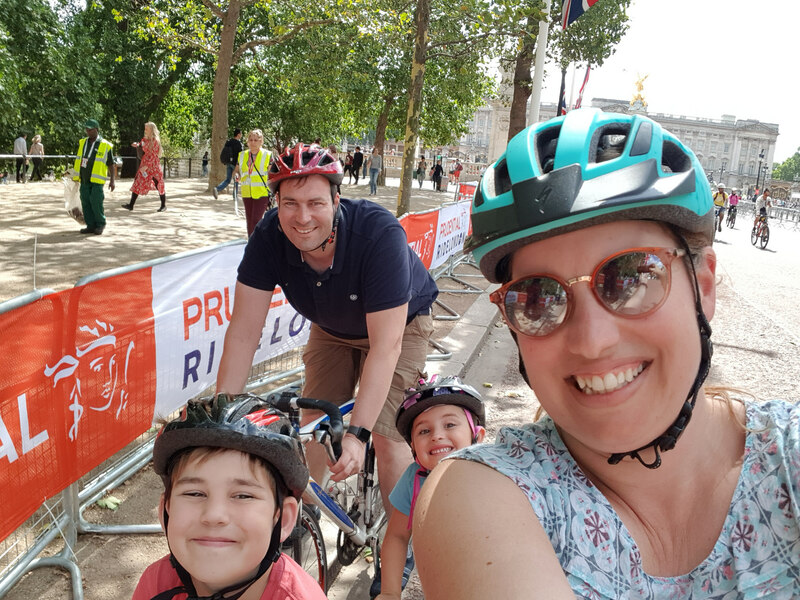 My cycling family – I’m so proud! I’ll definitely be back next year and hope to explore more of the peripheral cycling activities along with riding the empty roads again. Hope to see you there! To good an opportunity not to take. Lovely to see so many people doing the same. I admire you comuting across the capital on a normal day, not sure I would fancy it in a car let along on a bike. Must be quite fumey. We were in London on Saturday and wondered why there were so many cyclists on the tube! What a fun way to explore the capital and even better as part of a car free organised ride. Lovely to see so many taking to bikes and a perfect way to see the sights. I must say you did really well with photos whilst riding!